Earn up to 176 Pawperks. 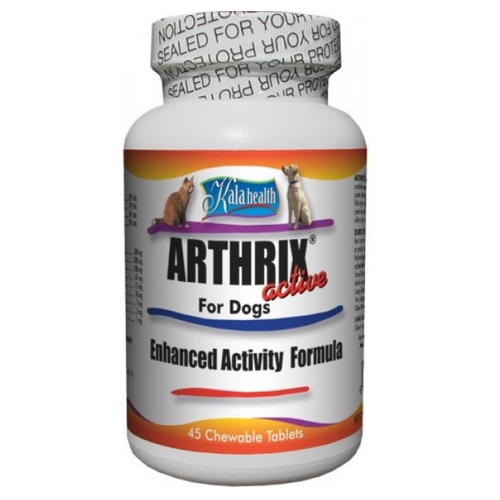 ARTHRIX Plus for Dogs by Kala Health is a great tasting, nutritious supplement intended for the long term maintenance of joint health. 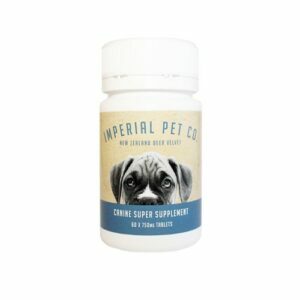 It is designed to help older animals and those with joint injuries live a happier and pain-free life. ARTHRIX Plus stands out from other joint health products because it only contains branded, pharmaceutical grade ingredients. 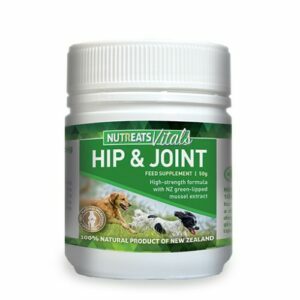 Our bioactive, low-molecular-weight chondroitin, OptiMSM – brand MSM, Ester-C – brand Vitamin C and OmniMin – brand minerals & trace elements mix, combined with high concentrations of cetyl myristoleate (a natural, long-chain fatty acid with powerful anti-inflammatory actions) and glucosamine HCl ensure maximum uptake and effectiveness. ARTHRIX Plus for Dogs was specifically designed to improve the quality of life of geriatric mid- to large size dogs. 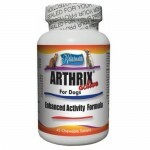 ARTHRIX Plus is also beneficial for smaller dogs and cats suffering from old age stiffness, and those that have suffered traumatic joint injuries. The ingredients used in ARTHRIX Plus are of human grade purity and are commonly recommended by veterinarians. ARTHRIX Plus is not a drug, so offering it in conjunction with veterinary medications is no problem. ARTHRIX Plus is not a substitute for treatment, but a supportive means to assist with canine age-related pains and discomforts. 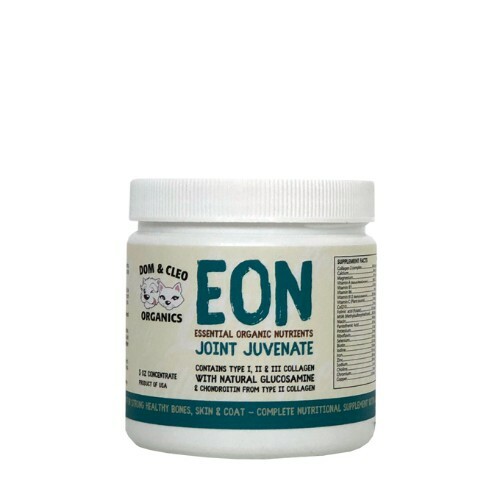 Chondroitin Sulfate (:125-mg/tablet): Chondroitin is a cartilage component that promotes water retention and elasticity and inhibits the enzymes that break down cartilage; Our low molecular weight chondroitin (12,000 Dalton) ensures rapid uptake. 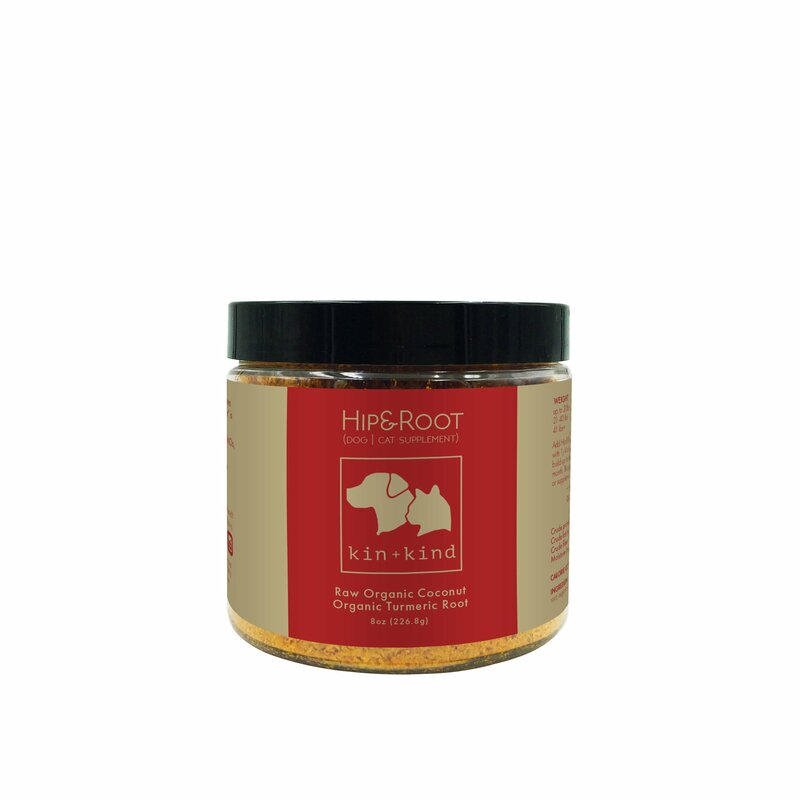 Click here to read more about Chondroitin in Dietary Supplements. For best results, use for a minimum of 30 days. Best taken on a full stomach. Recommended to double the dosage on first four weeks of intake.